← The Making of Songlines…. A few days ago I found out that my quilt was one of 20 chosen out of 88 entries for the Expertise Events, Australian Quilt Convention annual quilt competition. This year the theme was ‘Tradition with a Twist’. Here’s the link to see all the other finalists. It all started with four bags of silk scraps from www.provenance.co.nz and a pile of crochet cottons and wool pieces and velvets. Quite a lot of fabric in that pile didn’t make it into the quilt but it was a starting point. and here’s some more photos of work in progress. 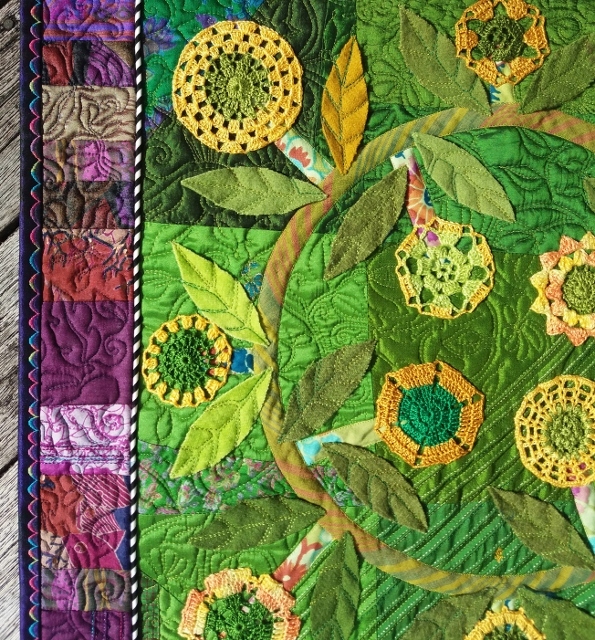 This entry was posted in Exhibitions & Competitions, Mary Metcalf and tagged Competitions, Mary Metcalf, quilts. Bookmark the permalink.